One of the best and most popular exterior building materials is Vinyl Siding. Vinyl siding material is a versatile material which you can install in a different pattern to give the house a distinctive look. According to research, over 2billion sq. Ft of sidings is manufactured every year in the United States. 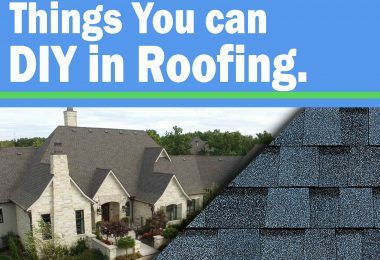 However, many homeowners prefer vinyl sidings because it is durable, affordable, easy to install, flexible and maintenance free. 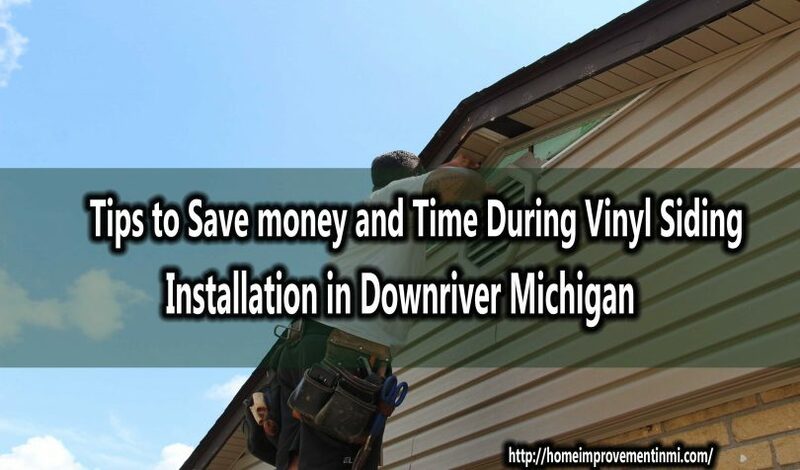 Vinyl installation in Downriver Michigan requires the right equipment and only the experienced siding contractor can correctly handle it. Some of the essential tools you need are a tape measure, framing square, hammer, utility knife, tin snips, ladder, cutting or two table, zip unlocks tool, caulk and gun, and chalk line. 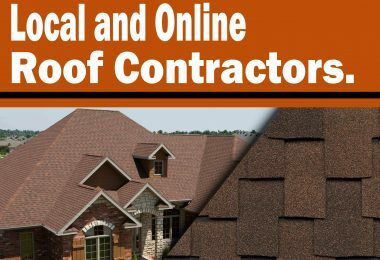 However, whenever you have decided to install vinyl siding on the wall of your house, it is reasonable to do research about the brand and go for the high-quality material that will last longer. Choose a vinyl siding that is strong and thick and can give your house appealing look for years. Vinyl siding should be able to last for at least 24years when appropriately maintained. It will be good if you can wash with moderate pressure every 2 – 3 years. Carefully pressure wash vinyl siding to remove moisture under the siding because too much moisture will lead to mold and mildew growth in between the exterior wall and the siding. 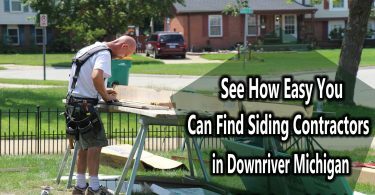 In this article, we shall talk about what you can do when you want to install vinyl siding to save money and time. Whenever you are buying your siding material, ensure that you buy more than what you estimated for the work. It is more frustrating working on a weekend when all offices are not open for business, and you run out of material. Adding some margin to your estimate will eliminate the headaches of shortage and save your time. However, some suppliers collect returned materials and refund money based on the worth of what you returned. 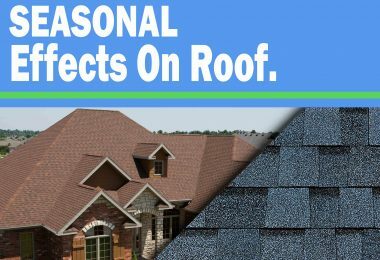 All you must do is to ensure that no damage happens to the remain materials. 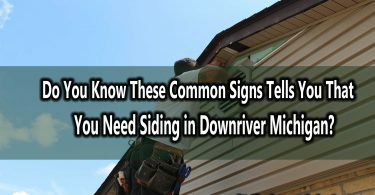 Before you begin the Vinyl Siding Installation in Downriver Michigan, ensure that you thoroughly do all necessary cleaning. It will help to remove dirt on the surface of the wall where the siding will be installed. Moreover, if improving energy efficiency is one of your aim for the project, ensure that foil-based foam sheath is installed. It is essential if you are installing a vinyl siding over an existing brick or wood surface. 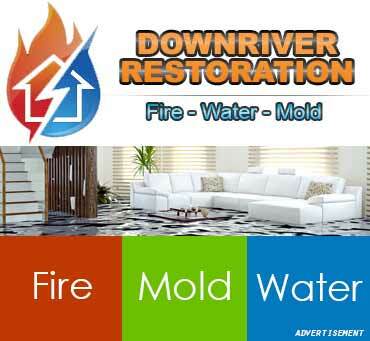 Also, ensure that cracks around windows and doors are caulked, and energy leaks are sealed. 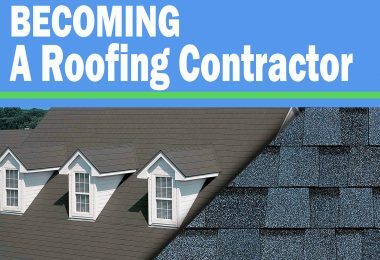 Crown molding which is also known as RCM is a multifunctioning system that allows one to install the soffit and lock siding’s top piece into it. If you use crown molding for your vinyl siding installation, there wouldn’t be a need to J-channel, F-channel, and Utility Trim. RCM has the similar color as soffit and trim. Instead of buying more vinyl siding for the inside corner, J-channel can be used for the inside corner post to save some bucks. If you are on a low budget, two pieces of J-channel can save you some money you would have spent to buy vinyl siding per inside corner of your house. Moreover, bend the Facia Metal. Bending the Facia Metal can require some time for doing that; however, it can save some hundreds of dollars. A metal brake and rolls of the trim coil will be needed, therefore bending the facia metal yourself will save what you would have spent per feet.